Interactive Bulletin Boards are more than just a classroom decoration! They are a versatile, vertical, very awesome learning center. 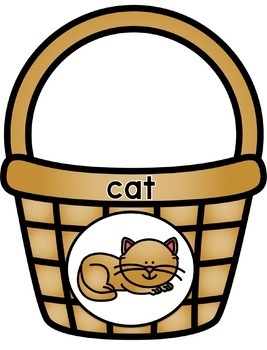 This "A Tisket - A Tasket" rhyming bulletin board with your students to practice recognizing and sorting rhyming words. 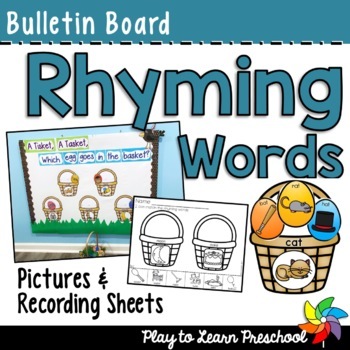 Includes the pictures and pieces to create a bulletin board with 8 baskets, 3 rhyming eggs for basket, and 4 recording sheets. 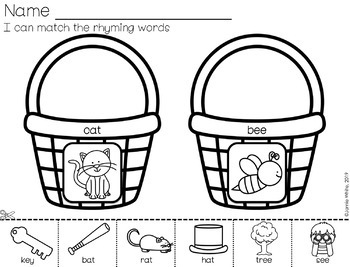 Students will color, cut, sort, and glue the rhyming eggs onto the corresponding basket. Be sure to "Follow" Play to Learn Preschool on TpT so you will get notifications each time a new resource is added! Thanks for leaving feedback on this product! 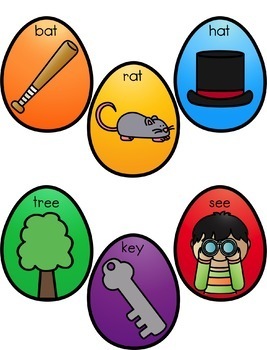 Enjoy playing and learning with your children today!